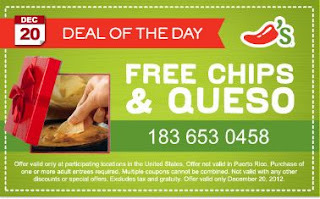 Print your coupon and stop by Chili's for their HoliDaily Today the deal is free Chips & Queso. I love chips and Queso yum! Stop by Chili's today to get this awesome deal!